LinkedIn is the world’s largest professional network consisting of approximately 400 million members with a new member joining every two seconds. Unlike Facebook and Twitter, which many professionals use more on a personal basis, LinkedIn is dedicated to professional development and networking platform. The platform assists in building your professional identity online, stay connected with colleagues and peers in similar industries and provides you with the latest news, inspiration and insights to help further your knowledge base. In the public sector there is a lot of movement and it can be hard to stay in contact with managers and work colleagues. LinkedIn provides a way to keep in contact with these people, which can be useful when you need references, mentors and advice on sharing expertise. I often find that candidates struggle to stay connected to past managers. This is a great way to stay connected especially if you need references from them. 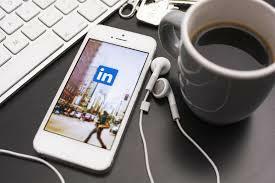 LinkedIn is a great way to get the latest news about your industry, events and the community. You are able to get customised news delivered based on your industry and connections. With the marketplace becoming more competitive and the risk of jobs being replaced by technology it’s becoming more important to continue learning and developing professionally. LinkedIn gives you the opportunity to engage with thought leaders, industry experts and the community. This social media platform provides you with the opportunity to join and set up groups. These are networks of like-minded professionals where you can engage in discussions, seek advice and share articles of interest. As a public sector employee there are some things you need to be mindful of if you are going to engage on LinkedIn. The public sector commission’s code of conduct does not allow public sector employees to comment on government and departmental policy. Furthermore, sensitive and confidential information should never be shared on social media. Always think, if you don’t want to see it on the front page on the newspaper with your name attached don’t post it. Profile photo – Upload a head shot that is professional and up-to-date, ie not 10 years old or pixelated. Don’t leave this section blank. Professional headline – Create a professional headline, not just your job title. Summary – Write a succinct summary (background) that discusses your experience, the business unit you work within as well as the Department. This is your elevator pitch – please remember that the first two paragraphs usually show up before the person has to select show more. Most people won’t select show more. Always key information at the top. Always write in third person, not first person. Experience – Have the option to select your employers as Queensland Government or to select the specific department, depending on what is appropriate for your situation. Customise your public profile – control how your profile appears when people search for you on Google, Yahoo!, Bing, etc. Check where your profile is visible. LinkedIn will search and find the people, just say yes to connect. Join groups of interest – Just like all social media channels, the more you put in to it the more you get out of it. Like pages, comment on posts like posts, interact and others will interact back, plus you will continue to appear in their newsfeeds. Key words – It’s very important to use keywords in your headline, summary and throughout your entire profile. The keywords could consist of your main passion or profession and will help your LinkedIn profile turn up more often on search engine results. Personalise your invites – When inviting people to connect with you please do not use the generic LinkedIn message. Personalise with any of the following – recall where you met the person (e.g. at an event), offer a compliment about their organisation or performance, mention that you have read their blog article or seen them, whether someone has referred you, etc. Who should I connect with? – There are two perspectives on this; some will say connect with everyone to expand your network, others are of the opinion you should only connect with people you know or are relevant to your industry. This comes down to how you want to use LinkedIn, our preference is towards connecting with people you know or want to know. Turn off activity – Remember to turn off your activity when you’re updating your profile. You don’t want to annoy your connections with dozens of updates when giving your profile an overhaul. To turn off and back on go to your LinkedIn Privacy & Settings page and find ‘turn on/off your activity broadcasts,’ underneath Privacy Controls. But make sure you turn it back on once you have finished your editing so your connections can see when you get a new job, new skills or have a work anniversary. If you are interested in connecting on LinkedIn with the government team, we would love to hear from you.